I have people always asking me how well my material holds up over time and how long does it last. 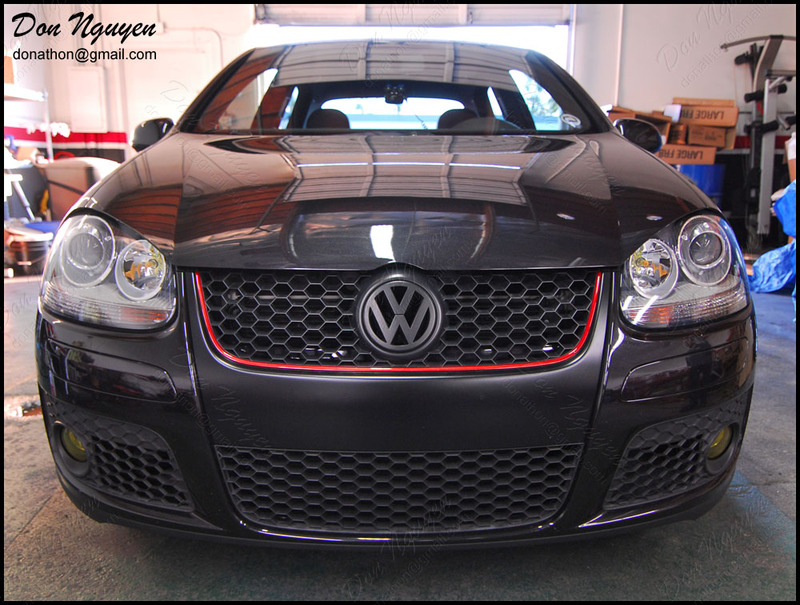 Well, here is a black VW Golf GTI Mk 5 that I did roughly 2 - 2.5 years ago. I vinyl wrapped the center section of his grill in my matte black vinyl material. This is as exposed to road debris and wear and tear as any wrap is going to get, being on the front of the bumper. There are some nicks here and there from sharp rock chips/hits, but nothing out of the ordinary that you wouldn't expect to see on a car's front bumper that's been daily driven for the last couple of years.